The horizon beyond Garnett, Kansas is distorted by what at first sight seems to be a grain elevator rising above this land of cornfields. A closer inspection reveals tall, skinny distillation columns among the silos and fermentation tanks. It is an Agri-Energy, ethanol facility, one of 100 or so such heartland garrisons in America's rising battle against our dependence on fossil fuels. Growing corn is an intensive process that requires pesticides, fertilizer, heavy equipment and transport. When considering the viability of ethanol, the total impact of all that activity needs to be taken into account. In one year, the plant processes about 13 million bushels of corn resulting in approximately 36 million gallons of ethanol. According to plant manager Derek Peine, "That's enough high-quality motor fuel to replace 55,000 barrels of imported petroleum." Several incidents, dating as recent as late 2004 have all contributed to a sense of urgency to revamp the way America's vehicles run, and our flagrant use of petroleum products. The war in Iraq, a fire at a Texas oil refinery, drilling rig shutdowns caused by hurricanes, and increasing concerns over global warming have finally gotten our collective attention. Rising oil prices are leading skeptics to review possible alternative fuels. Ethanol currently seems to be getting the most attention, but interest is growing in other Flex fuels such as methanol and Biodiesel. Methanol, also known as methyl alcohol or wood alcohol, is produced naturally in the anaerobic metabolism of many varieties of bacteria. Methanol is used on a limited basis to fuel internal combustion engines, mainly by virtue of the fact that it is not nearly as flammable as gasoline. Biodiesel is made from used french fry oil and as the name implies, is a fuel for diesel engines. In addition to these biofuels, research continues into electricity and natural gas as vehicle power sources. Department of Energy (DOE) policy calls for eventually making a transition to a hydrogen-based economy. A hydrogen economy is a hypothetical future economy in which the primary form of stored energy for mobile applications and load balancing is hydrogen (H2). In particular hydrogen is proposed as a fuel to replace the gasoline and diesel fuels currently used in automobiles. President Bush has recently stated that he wants hydrogen-powered cars on the market by 2020. "It (hydrogen) has the potential -- a vast potential to dramatically cut our dependence on foreign oil," Bush said, warning that gasoline prices will probably continue rising this summer. "Hydrogen is clean, hydrogen is domestically produced and hydrogen is the way of the future." 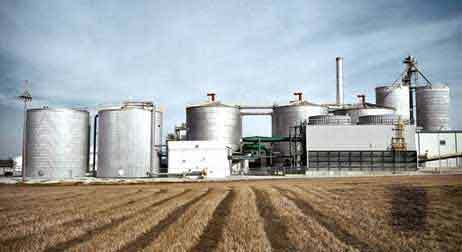 Ethanol, likely the king of the challengers to petroleum, is already found blended with gasoline at different levels in pumps across the country, and production is continuing to ramp up. Ethanol is thought to be the main fuel President Bush had in mind when he announced the Advanced Energy Initiative in February 2006, and when he signed new energy rules into law in the summer of 2005. The legislation established a renewable-fuels standard that will require the use of 7.5 billion gallons of ethanol and biodiesel annually by 2012; a nearly 90 percent increase over today's usage, including extended tax benefits that favor both fuels. Many gasoline alternatives look good in the lab, but automotive engineers have a lot of work to do in the real world. Energy companies have to build new infrastructures, before we can drive off into a petroleum-free future. And then there is the issue of money, (theoretical) discussions of alternative energy often takes place in an alternative universe where prices do not matter.